984.00 sqft. - 1509.00 sqft. Akshara Niloy is a luxurious project located at one of the most prime areas. This project brilliantly harmonizes panache with comfort and takes care of all the needs of a modern family. An ecstatic blend of spaciousness and contemporary design, these homes encompasses a number of modern amenities ensuring a convenient and enthralling lifestyle. The residences of Akshara Niloy are designed to allow you to savor the benefits of having your privacy as well as community living. Built to perfection, this project offers you with comforts and conveniences to make your each day peaceful and hassle-free. The enchanting living spaces of Akshara Niloy are infused with warmth and energy to make your life extremely vibrant and lively. 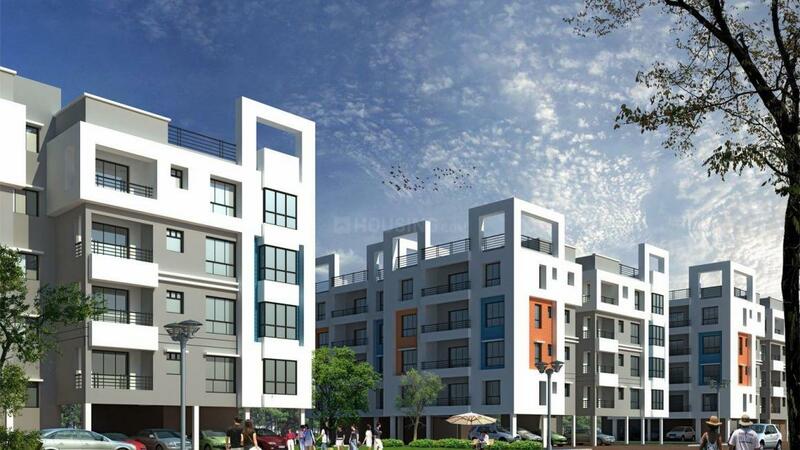 Located in southern Kolkata, Parnasree has seen rapid Real Estate development over the years. Known as an uptown locality, this place is situated adjacent to the Upendranath Banerjee Road which further culminates in the Diamond Harbour Road resulting in a strong network of Roadways. This in turn allows easy connectivity to the neighboring areas to all the daily commuters of this locality. The nearest railway station from here is the Brace Bridge Station. Netaji Subhash Chandra Bose International Airport is also at a brief driving distance from here. Parnasree is a preferred residential option for the working class owing to the presence of many factories and industries including manufacturing plants of chemicals, metal plating, spray painting and plastic recycling in the nearby areas of Behala. The major attraction of this place is the scenic Parnasree Lake that is an epitome of beauty and a great recreational option for all the inhabitants residing in and around this place. Many schools, hospitals and banks lie in the vicinity thereby ensuring smooth functioning of daily life for its residents.